Dr. Tali Hammond has joined the Richards-Zawacki lab as a NSF postdoctoral research associate. Tali comes to us from the Department of Integrative Biology at UC Berkley, where she received her PhD in 2017. 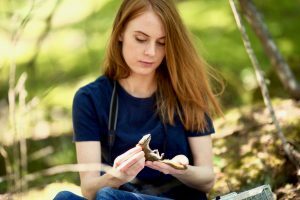 While finishing her PhD, Tali wrote and was awarded a prestigious NSF Post-doctoral Research Fellowship to work in our lab studying the sub-lethal impacts of the chytridiomycosis on frog reproductive behavior and physiology. Welcome to the R-Z lab Tali!